In the forum, someone was asking about DJ classes. The name Timothy Scarborough and Helping Haven came up. Helping Haven Gateway is a region in Second Life™. As a gateway, it has a website: Helping Haven. 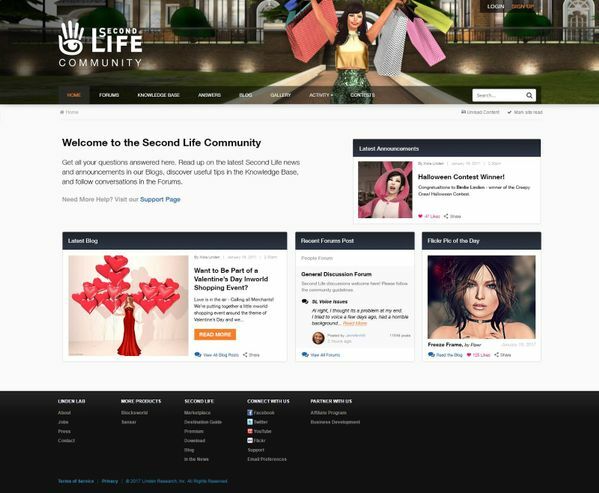 People can open a Second Life account and log into SL on the website. When they use the website they land in the Helping Haven reception area. When I went there 3 or 4 people were on ‘duty’? They had the answers to my questions on who was doing the DJ classes. They didn’t know the when nor did I find that answer in my exploring. Posted in Community Tools, General News, Second Life. Tagged Classes, Tutorials. Today I see the new SL Community Site is up. Not working, but there is a new landing page. Posted in Changes, Community Tools, General News, Second Life. Tagged SL Forum. There is an announcement in the SL Blog telling us the Lindens are going to set the SL Forum to read only. Why? To upgrade the forum, blog, and everything… as best I can tell. See: A Fresh New Community Look is Just Around the Corner! Starting February 21, Tuesday, the forum will lock. They expect to have the upgrade done by 2/27 or sooner. Posted in Community Tools, General News, Second Life. Tapple Gao is providing a free tool for those doing movement animations, e.g., walking. You’ll find a copy in the marketplace here: Walking and Turning Test Treadmill. It is free. The idea for the tool was to provide a way to eliminate skate from animations you create. With some walking and running animations my avatar appears to skate across the floor/ground. With this tool you can play the animation, as opposed to wearing and having to ‘move’ to play it, stand in place, start the treadmill, and see if your feet and the treadmill are in sync. If not you’ll need to adjust the time scale of your animation. I’m into math. So, I think it would be nice to have a control that would let me speed up or slow down the treadmill by a known percentage. While there aren’t any buttons for that. Apparently I could do that via the chat interface. By knowing how much to speed up or slow down my animation I would be able to eliminate a lot of trial and error testing. Posted in Animation, Community Tools, Second Life. Tagged Animation. 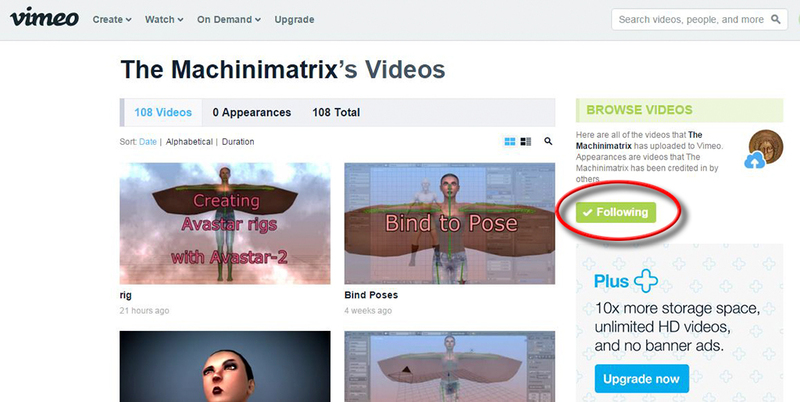 Gaia Clary has been putting more of the Machinimatrix/AvaStar videos on Vimeo™. There are good reasons for doing that. Vimeo offers better monetization and distribution control. Unfortunately Vimeo has to compete with YouTube. Posted in Animation, Community Tools, Second Life. Tagged Avastar.